The chance to know about the Buddhist culture and tradition. Similarly, a chance to visit Tengboche monastery, the largest monastery in the Khumbu region. Himalayan Trekking.com takes care of your arrival at Tribhuvan International Airport, Kathmandu and departure to your home country. Everest Base Camp trek begins from a scenic flight from Kathmandu to Lukla. The adventure journey begins from Lukla airport to the Everest base camp trekking which is fully on foot. This trekking covers trips in the Khumbu region. 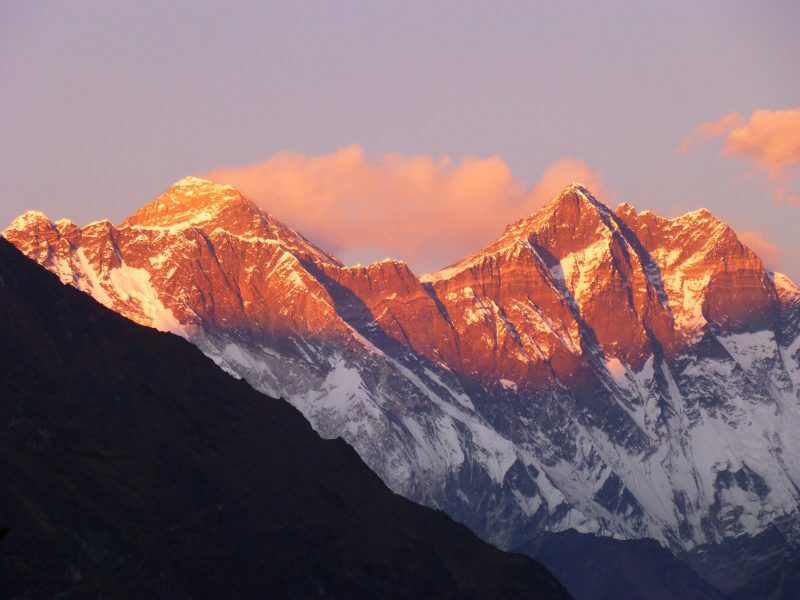 We are able to attend the maximum altitude of 5545 meters at the top point of trekking. You will need Sherpa guide to ensure that no difficulties on the way to Kala Patthar. An English speaking and well-known mountain climbers will assist you on the difficult situation that trekkers face during trekking. You can check the pricing and other information on the on our trekking package. If our trekking to Base Camp Package does not meet the needs, we can accomplish your needs by formulating a new customized package to ensure to fulfill your needs, time and budget. Furthermore, the achievement of this base trek depends on the selection of right season, mental determination, and physical condition. One must choose the right things and mentally prepared to go to Everest Base Camp Trekking. Therefore, the Best choice will be autumn or spring and to accept the challenge. Te first things to remember is Weather conditions. As the weather condition in the Himalayas changes continuously even during the trekking seasons too. Similarly, when the weather goes horribly wrong, affect the flight schedule, resulting in flight delays for a few hours to even a few following days. Therefore, to be on a safe side, we request you to add a few extra days to your plan. Furthermore, in any trek, trekker’s safety if number 1 priority. So, considering this fact, the team leader on duty is able to make changes in the itinerary provided, in case of unexpected weather change, the unsuitable health condition of a group member or an unforeseen natural disaster.